But what if you are also contemplating bankruptcy? I would absolutely still recommend making an appearance (because if you fail to appear, the default judgment will be rendered). Except on this occasion, I always suggest to ask the court for a continuance. A continuance is a legal way of asking the judge to give you more time to sort things out. If the judge asks why you need a continuance, you would simply tell him/her that you are going to be filing for bankruptcy, and the debt in question will be included (and thus discharged). The judge will undoubtedly grant the continuance, which will give you anywhere from thirty to sixty days until the next setting. In the meantime, you can make arrangements to get your bankruptcy petition together, and get rid of not only this debt, but all others as well. 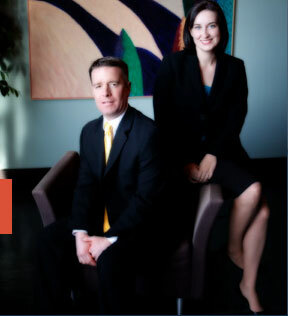 The affordable St. Louis bankruptcy attorneys at Brinkman & Alter, LLC have been making sure our clients receive the best and most expert advice and bankruptcy legal services possible. Whether you file a St. Louis Chapter 7 bankruptcy or a St. Louis Chapter 13 bankruptcy, we want to get rid of all the debt you do not want to keep, save all the property that belongs to you, and make sure you receive the fresh start / clean slate that will get you back on the road towards financial freedom.